The Blind Juggler was developed in a Master Thesis in 2008. 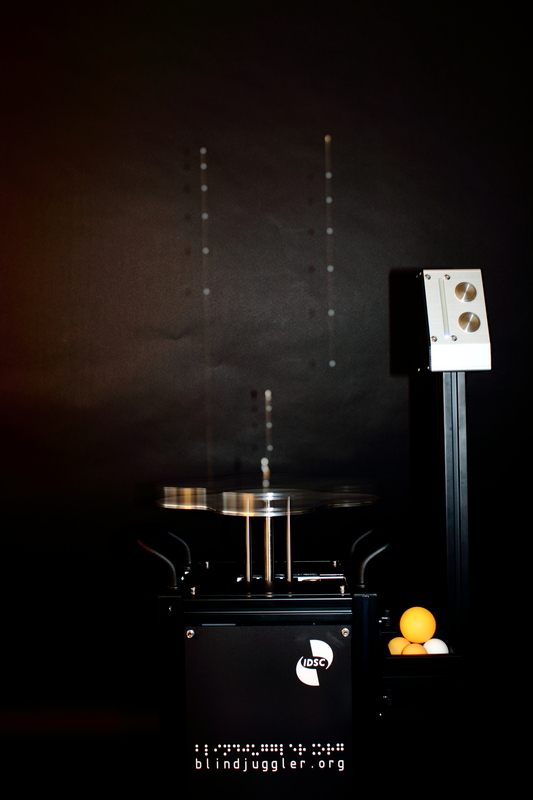 It demonstrates that high performance robotic juggling is possible without any sensors detecting the ball. The Swinging Blind Juggler pushes this concept even further by not only juggling vertically, but also from side to side. More recently, we started investigating the control of nonlinear systems with underlying symmetries and shared control inputs. The Cloverleaf Blind Juggler serves as an experimental platform for the validation of algorithms we develop. You may read more about this research here. Check out the publications page where we posted scientific papers describing the research in detail.